Hi everyone! Today, I was delighted to take part in the Extra Life event as part of the Wizards of the Coast: Dungeons & Dragons team. I played the 8am – noon shift, and many outrageous adventures were had. One of my schticks was that since my character had a minstrel background, I would write and perform little ditties for donations. Unfortunately, Extra Life experienced problems all morning and was unable to take donations, but I did my ditties anyway, and encouraged viewers to donate retroactively once things were working again. 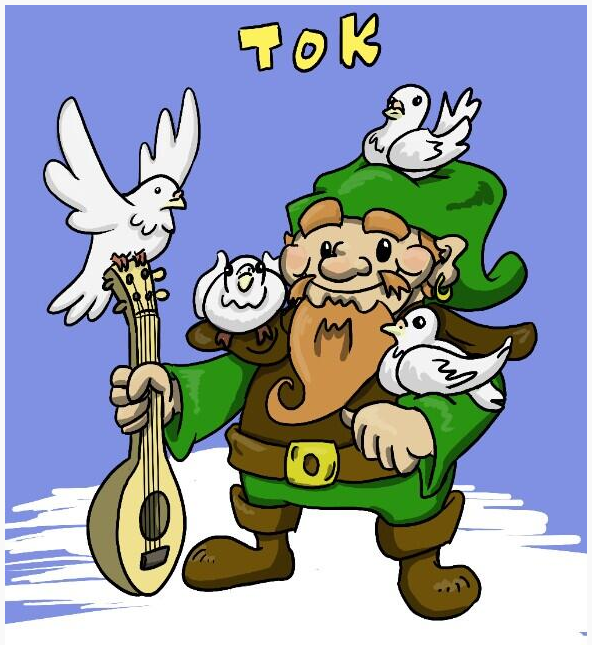 My character, Tokk, was a middle aged fellow, eager to tell all manner of exaggerated stories of his adventures to anyone who would listen, and fond of making up little songs about events around him. Prior to the start of this adventure, he had joined up with Jackie and Destial form a performing troop. However, Destial’s keen interest in setting things on fire meant the group was rarely booked for a repeat performance in any give place. Following a public hanging of a red mage and rumour of a dragon threat nearby, the three joined forces with Alaric and Alek’vi to go do heroic day-saving deeds. game context: Destiel likes to set things on fire. Often. 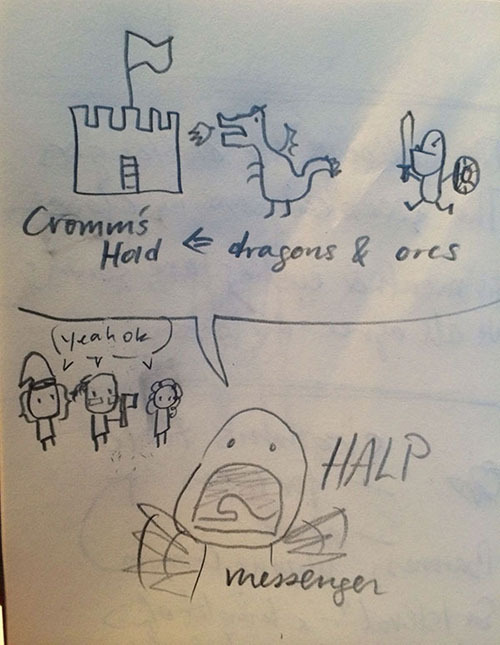 game context: this is what the group was doing as they wandered through the swamp, seeking dragons. Tokk was, of course, composing this song. And Jackie’s flute does make us go. 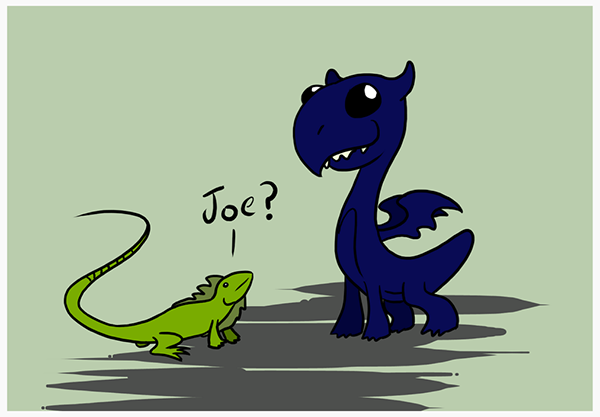 game context: Alek’vi cast a spell to speak with an iguana we encountered in the swamp, in an attempt to find this elusive dragon. The iguana got a little fresh. To get information and such. And Alek’vi did flinch from its touch. All handsome and sturdy and strong. He preferred just to not go along. game context: the amazing thing the dworks had turned out to be a dragon egg. It hatched. Aleric, who spoke draconic, began attempting to raise it to be a good, right-thinking dragon. game context: the party encountered a very unfriendly group of bullywugs, and promptly slew them. The baby dragon was delighted with this dinner plan.